Your BMW is a highly technical, finely tuned piece of automotive equipment. With all of the moving parts and electrical components that are contained within your vehicle, occasionally, some things are going to go wrong. 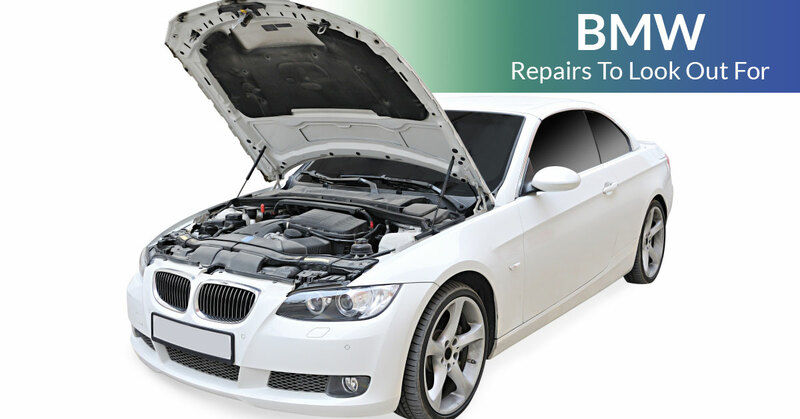 Below we have listed a few of the most common repair issues that BMW owners will experience. Vibrating Steering Wheel: For many owners of the 3 series, vibration of the steering wheel while braking is a common issue. This usually starts to happen under light braking and, as the problem gets worse, the steering wheel starts to vibrate more violently. The issue can usually be resolved by replacing the control arm bushing; however, if the problem is left unattended, the vibrations can eventually lead to the failure of the ball joint. If this occurs, the control arm and brake rotor are in danger of warping. Coolant Leak: Another issue that is most common in 3 series, but has been known to be an issue across BMWs, is leaking coolant. This coolant leak typically occurs around the front of the engine and is usually caused by the expansion of the coolant reservoir tank which, in turn, causes the tank to crack. If you look under the hood of your BMW and notice a thin line of dried coolant residue snaking down the side, you may want to bring your BMW into Kudos Import and Performance so that we can ensure no further damage is being done to your tank. If left unattended, this issue can cause serious overheating issues with your engine. Door Handles: While not an issue that many people would ever expect to experience, BMWs are known to have some issues with their door handles. Most models have a plastic piece inside of the door handle that can break, which causes the handle cable to hang loose and prevents the door from being opened. While this can be seen as only a minor annoyance, it can become a huge safety issue if left alone for too long. Not being able to open the doors of your BMW could be life threatening if you are involved in an accident. Join us again next time as we continue to go over some of the most common issues that affect BMWs. And, as always, if you feel that your BMW is experiencing issues that could turn into something serious please book an appointment today with the experts at Kudos Import and Performance. Additionally, if you are not a BMW owner, but are still the owner of another luxury import vehicle, please do not hesitate to call us. We have been faithfully serving Chesterfield area clients for years and would love to help you keep your import vehicle running as well as it should be.